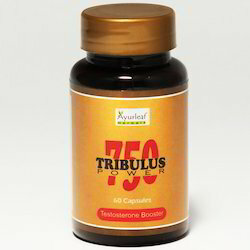 With enriched industrial experience and knowledge, we are manufacturing a wide assortment of Tribulus Terrestris. Tribulus Terrestris ( Gokhru) is a flowering plant in the family Zygophyllacae. It is distributed throughout India upto an elevation of 3500 M . It is also known by the name of puncture vines, Calatrops, The major constituents include Saponins. Common Name: goat's-head, birdie, bullhead, burro gokshura, caltrop, small caltrops, cat's-head, devil's eyelashes, devil's-thorn, devil's-weed, puncture vine, puncturevine, and tackweed. 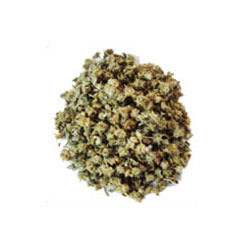 We bring in optimal quality Tribulus Terrestris in the domestic as well as global market. It is often known as Gokhru or Puncture Vine. The Tribulus Terrestris Extract we supply in the market has up to 80% of Saponins. Apart from this, we are one of the most credible Tribulus Terrestris Exporters and Suppliers in the business. Owing to our enriched industrial experiences, we are devoted towards manufacturing a wide variety of excellent quality Tribulus Terrestris. Our company has been successful in winning appreciation from the clients as one of the most prominent names in supply of Gokhru Powder.